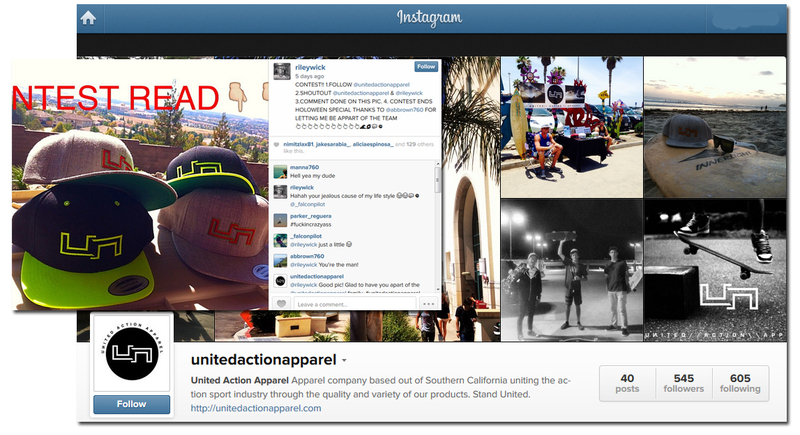 United Action Apparel – using social media to grow their customer base. Fall is officially here! And with Fall comes another semester at SDSU and the beginning of a new Social Media Marketing class! Each semester, I have my students work with real small businesses to implement the latest Internet Marketing strategies first hand. Although the semester has only just begun, one student group is already applying some effective social media strategies, and seeing rapid growth is their company’s social media base among their target audience. 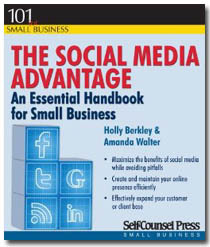 I thought it would help us all to quickly revisit these social media strategies, that really do work! 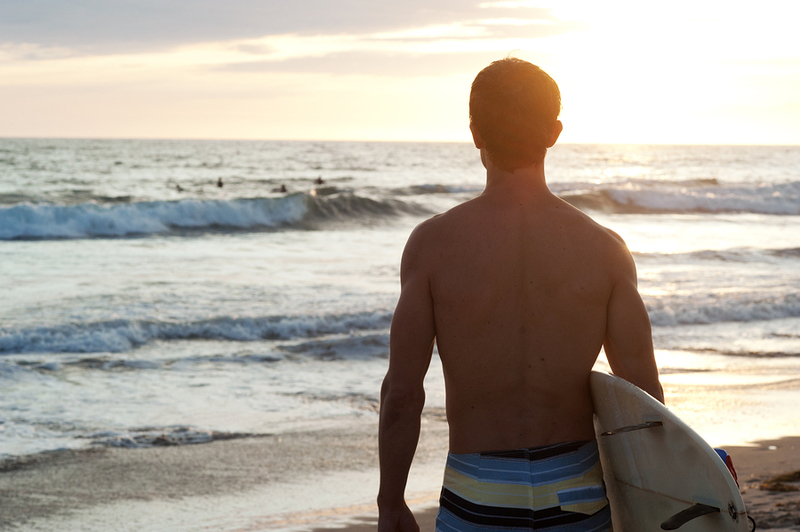 United Action Apparel is a California-based clothing company focused on the action sports industry. Although the company doesn’t yet have a web site, they are already using social media to start growing awareness about their products and create a loyal customer following. Below are two social media strategies the students working with United Action Apparel are currently implementing to grow their base. Online influencers don’t have to be celebrities. “Real people” with a strong online social following that match your target audience can be equally effective. 1. Identify Online Influencers + Incentivize them to be your Brand Ambassadors. I recently wrote this blog post about the importance of identifying key influencers within your online social networking circles. Finding key online influencers doesn’t necessarily mean having to reach out to the Kim Kardashians or other big celebrity names (who get paid thousands of dollars per tweet, by the way!). “Real people” with a strong online social following that match your target audience can be equally effective. For United Action Apparel, they identified their target audience as 13-21 year olds interested in Action Sports. Based on this, they discovered Riley Wick from Sacramento, CA and awarded him with becoming their First BMX/Motorcross Sponsor. United Action had 350 Instagram followers before the sponsorship. Just a few weeks after bringing Riley Wick on board, their followers jumped to 545. Most of the immediate growth was due to a simple contest Riley initiated and promoted among his 2,000+ Instagram followers. 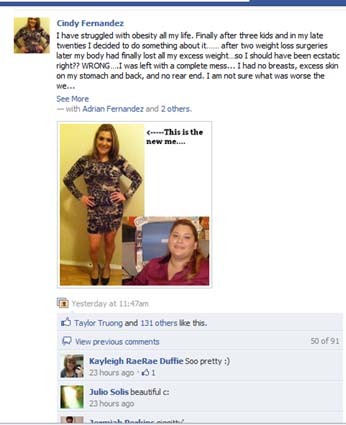 The post, which contained an image of United Action Apparel products, quickly generated more than 100 likes and a long list of comments. 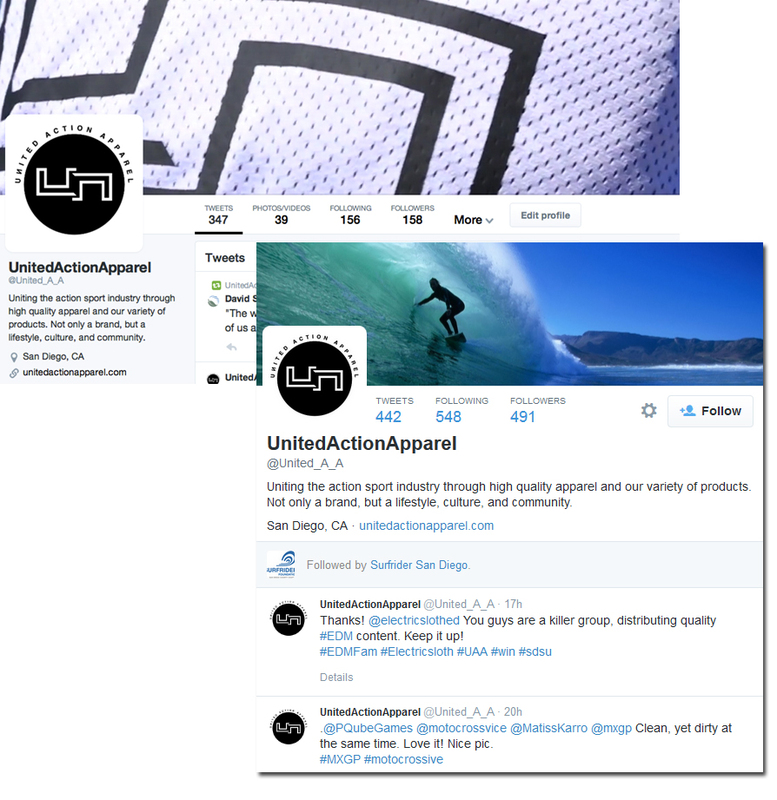 United Action Apparel grew their Twitter followers by more than 200% in just a few short weeks. 2. Don’t just push content out on social media. Join the conversation! Rather than just pushing out messaging or automating posts like many companies still do on social media, the students working with United Action Apparel understood that growth comes from finding the conversations where your audience is and interacting in a genuine way. By applying this social media strategy, United Action Apparel increased their Twitter followers by more than 200% in just a few weeks. The secret? Actually interacting with companies and consumers who are already active online. Tagging them, commenting, joining conversations in a real way. Can you identify the biggest influencers in your online community? Determining the identity of the key influencers within your online social networking circles can be critical to your marketing goals. When a key influencer loves your company or project, you can sit back and watch the positive energy flow, but get on their bad side, and you may be confronted with a PR nightmare. No matter the size, every online community has its loudest voices. And these voices make up only 1% of the total community. But they are a powerful 1%. They are the “creators”. They are the ones who start conversations and keep the discussions alive over the course of several days or weeks. 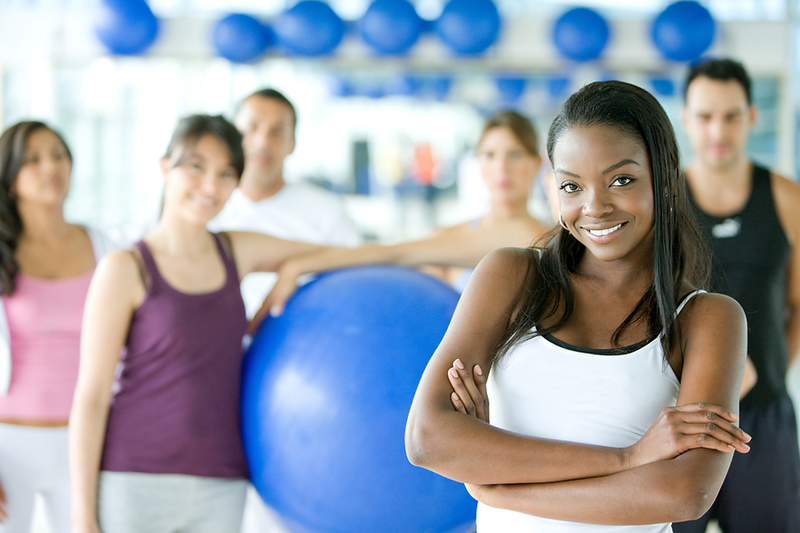 The creators have a big influence on the attitudes and energy of the social group. It may appear that a social network is not active, or that no one is listening due to the small percentage of participants who actually create content. However, 10% of a community is what is known as “editors”. These members will post and contribute to conversations started by the “creators”. 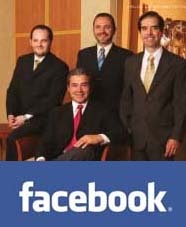 They are the ones who will simply “like*” something on Facebook, or contribute a “me too” type blog comment. So what are the remaining 89% of the members doing? Listening. Even though you may think no one is listening to your posts and comments, they are. Social media provides a voyeuristic view of what’s happening in your community. For the same reason reality television took off, social media offers a chance for people to listen in, see your ideas, and hear what’s going on in a fairly anonymous way .